Do you have turkey left-overs from the big meal today? Instead of the usual ways to do leftovers try some of these ideas. First, plan to use the leftover turkey you have refrigerated within three to four days. If it is going to be longer, freeze the leftovers in freezer bags for later use. Remember when reheating leftovers we should always reheat to 165°F. • Turkey Tacos – Cut up the turkey meat and reheat adding taco seasonings. Serve with beans, tomatoes, salsa, lettuce, lite shredded cheese and/or sour cream. • Turkey Quesadillas – Cut up turkey meat and add to lite cheese on a tortilla. Heat until very hot and tortilla is lightly brown. • Turkey Fried Rice – Cook a scrambled egg. Add cut up turkey, scrambled egg, frozen peas, cut up carrots and onions to leftover rice. Heat to 165° F and then add low-sodium soy sauce. • White Turkey Chili is delicious. It has beans and a southwestern flavor. Try this recipe or other recipes for leftover turkey at University of Nebraska Extension website. • Pizza – Start with a flatbread or a pizza crust. Add some tomato or pesto sauce, cut-up turkey and lots of chopped up vegetables. Top with some low-fat cheese and pop in the oven until the cheese melts about 15 to 20 minutes. • Turkey Chow Mein has been a favorite with my family. Cut up the leftover turkey and add to Chow Mein vegetables. Heat until 165°F. Serve over hot cooked brown rice. Have leftover mashed potatoes and turkey? Turn it into this Turkey Mashed Potato Soup. Turkey leftovers can be delicious and nutritious. Leftovers can also make a fast and speedy dinner. If you are hunting for more healthy recipes try the USDA’s “What’s Cooking” website. Reviewer: Susan Zies, Extension Educator, Family and Consumer Sciences, Ohio State University Wood County. Is this the cry in your home as you walk in the door after a long day at work? Here are a few ideas to assist with having a healthy meal without spending hours in the kitchen. And, without a lot of expense of buying prepared or take-out food. Caution: It does take a little pre-planning time. Make a list before going to the grocery store. This list should include all you will need to make meals for at least a week. Some items can be used for more than one meal. For example, you may cook chicken breasts for one meal but have enough left over to make chicken tacos or chicken casserole for a meal later in the week. Leftovers can be kept in the refrigerator for 3-4 days or frozen for 3-4 months. I sometimes freeze my leftover meat or vegetables if I only have a small amount and then make soup at a later date. Have nutritious snacks available before the meal. Whole or cut-up fruits and vegetables are great before the meal and will not spoil the appetite. Keep washed, cut-up fruits or vegetables in the refrigerator for quick use. Start with a salad before the main meal is ready to serve. Doing so will add a healthy dose of vegetables to the meal, and salads can be easy to prepare. 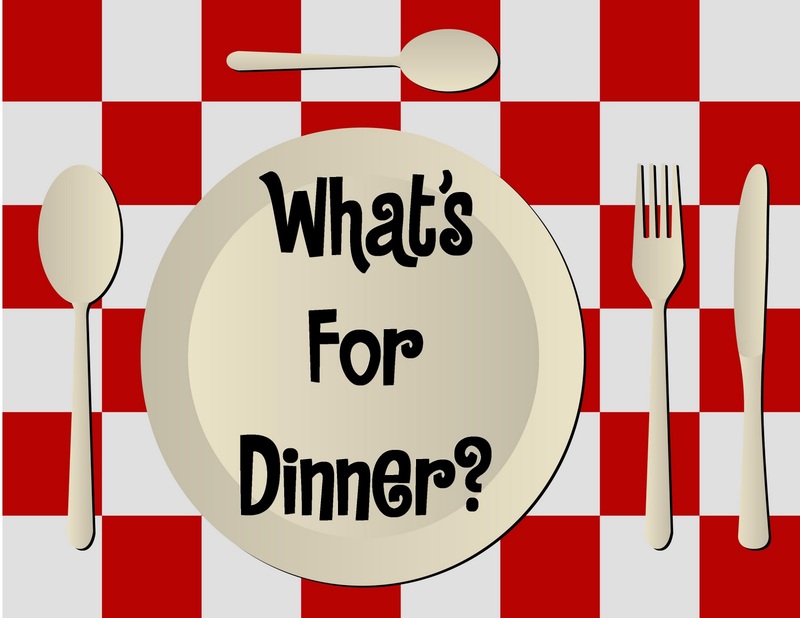 By planning meals ahead of time you won’t be as tempted to pick up something on the way home. You will know what is planned for dinner! What ideas work for you? Please share with us. Thanksgiving Leftovers – Keeping them Safe! Many people think that the best part of Thanksgiving is not the big turkey dinner but the leftovers! After enjoying your Thanksgiving dinner, there are usually plenty of leftovers to save for another day or to share with friends and family! You want to ensure that they are handled and stored properly to avoid food borne illness. The USDA estimates that more than a half million cases of foodborne illness are caused each year just from improperly handled turkey leftovers. 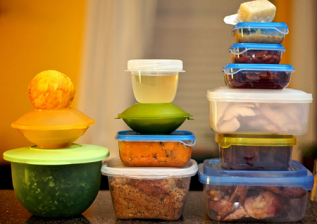 Here are some food safety rules that you should remember when handling your leftovers. Remember to always wash your hands and keep your work areas clean. Bacteria grow rapidly between 40° and 140°. After food is safely cooked, leftovers must be refrigerated within two hours. Throw out any leftovers that have been left out for more than two hours at room temperature. It is important to cool hot foods quickly to the safe refrigerator temperature of 40°. To do this, divide large amounts of food into small, shallow containers. Cut large items into smaller portions to cool quickly. Use refrigerated turkey, stuffing, etc. within 3 to 4 days. Gravy should be kept for just 1 to 2 days. 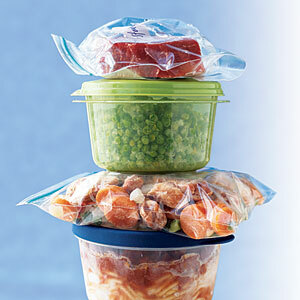 If you are freezing your leftovers, use them within 2 – 6 months for best quality. When you are reheating your leftovers, use a food thermometer to check that the food reaches an internal temperature of 165°. By following these basic food safety rules you should be able to enjoy your Thanksgiving leftovers. 1. In a jar with tight-fitting lid, combine all vinaigrette ingredients; shake well. If you don’t have a container with a tight-fitting lid, place ingredients in a small mixing bowl and mix together with a whisk. 2. In large bowl, combine all salad ingredients; toss gently. 3. Serve with vinaigrette. If desired, garnish with fresh strawberries. Source: University of Nebraska, Cooperative Extension, Cook it QUICK! You can substitute 1 1/2 teaspoons dried chopped onion for the chopped fresh onion or a as recommended on the dried onion container. Prepare the dressing at least 10 minutes before you need it to allow the dried onion to rehydrate from the fluids in the dressing. Use white meat leftovers if you’ve prepared a whole turkey and not just the breast portion. Another way to add crunch to your salad would be to use 4 tablespoons chopped walnuts instead of the celery. Written by: Marilyn Rabe, Extension Educator, Family and Consumer Sciences, Ohio State University Extension, Franklin County. Reviewed by: Michelle Treber, Extension Educator, Family and consumer Sciences, Ohio State University Extension, Pickaway County. Eat Well, Waste Less – Save More! Did you know that the average American family throws away approximately $1600 worth of food each year? If you’re like most people, you probably buy things you don’t need at the grocery store, or you may end up with leftovers that don’t appeal to family members. However, just by following a few simple tips, your family can eat healthy AND save money at the same time! Plan and buy only what you need: Saving money begins at the supermarket. Always plan and make a list before you go grocery shopping. Be sure to check your foods on hand in the pantry, refrigerator and freezer. Buy just what you need. Stock up: By having a well-stocked pantry, you can create delicious meals from foods that might otherwise go to waste. Toss cooked vegetables with whole grain pasta and salad dressing for a refreshing meal on a hot day. Mix canned beans with rice, toss with a salad, or mash and spread on a tortilla for a tasty burrito. Buy fresh produce every week: Fresh fruits and vegetables are great any time of day, including snacks. Don’t purchase produce in bulk, however, if it will go bad before you have time to eat it. Before you toss bruised or discolored fruit, cut off the bad spots and cook it in cobblers, pies, muffins, pancakes or breads. Add vegetables to soups or stews, or casseroles. You’ll add nutrients, color and texture to your meal while stretching your food dollar! Freeze foods, such as bread or baked goods if you won’t use them right away. Use it later in casseroles or for breading on poultry or fish. Leftover vegetables can be added to stir fries, sauces, pasta or omelettes. Cook with canned or frozen fruits and vegetables: Frozen fruits and vegetables can be a healthy alternative to fresh since they’re flash frozen when harvested. They are often more affordable and may be more nutritious, depending on several factors. Adjust your recipes to meet your family needs. Make changes according to your preferences and what foods you have on hand. Mix it up with different meats, vegetables or beans, seasonings or spices. Add nuts, rice or a whole-grain to stretch your food dollar. Substitute low-fat cheese in place of regular full-fat cheese. Source: Share Our Strength’s Cooking Matters, Top 10 Tips to Waste Less Food.